Crops/Animals raised: Cattle and wheat. What is the current weather and how has the weather been? : The weather has been in the 70% humidity range with 95 degrees to 105-degree highs with lows in the mid 70's. There have been pop up showers since the 10th of July with localized heavy rain. In a detailed description - what is the current status of crops/livestock? (i.e. plant/harvest/finishing): Fieldwork to prepare for fall planting, the fields are moist enough to plow and do fieldwork. Cattle are handling the heat well with the use of shade. The pop up showers are keeping the stock ponds useable and we have to had to go to groundwater as of yet. The grass is still growing. What is your outlook for the upcoming weeks? : It's going to continue to be hot, the moisture could shut off any time. We will be expecting to get final preparations for September wheat sowing completed in mid-August. Any advice for anyone else in your area dealing with similar conditions? : Shade for cattle is extremely important at this time. 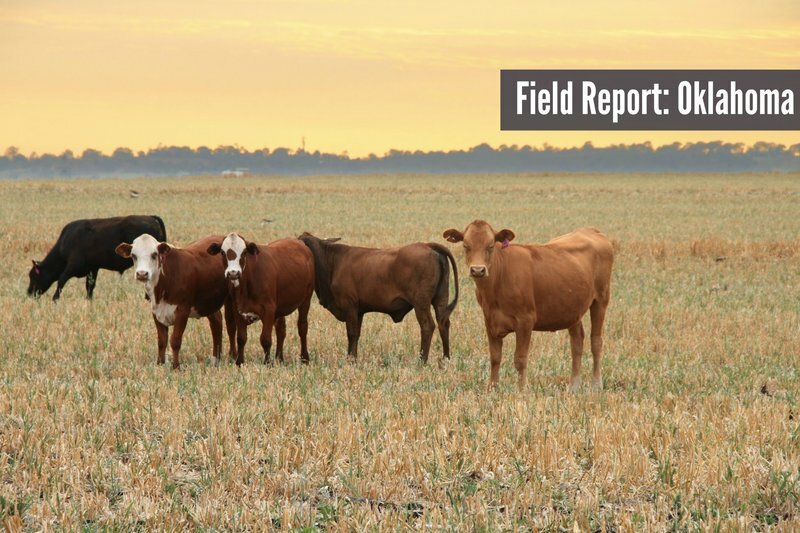 To see more Field Reports from across the country and submit your own click here.